Micromulticopter Aero Technology Co Ltd (MMC) recently launched the MMC HyDrone 1800 – a 2nd generation Hydrogen Fuel Cell drone. This is an upgrade for the HyDrone 1550 which was the world’s first commercial hydrogen fuel cell drone. The MMC, a 10 year old manufacturer of drones for commercial applications, has developed a complete hydrogen solution including a generator, compressor, cylinder and the fuel cell. Hydrogen fuel cell technology is a major breakthrough in the drone market. This is because the drone manufacturers have been trying to increase the flight duration by using better batteries, solar panels and even conventional fossil fuels without much success. However, MMC was the first manufacturer managed to produce a drone based one hydrogen fuel cell technology which is more promising in terms of flight time. 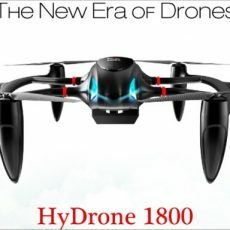 MMC’s HyDrone 1800 is a promising innovation and especially the drone market. The hydrogen powered drone, which is light weight, was designed majorly for the military and agricultural market sector. This hydrogen cell drone has the ability to withstand harsh environmental conditions such as strong winds (speed of 10 m/s), heavy rains extreme cold and hot temperatures ranging from -10 degrees Celsius to 40 degrees Celsius. The HyDrone 1800 has a payload capacity of up to 5 kg which can be interchanged easiy and quickly. In fact, there are hundreds of payloads less than 5 kg that users can attach to the drone using its “plug and play” interface and mechanism. This allows the drone to perform a variety of applications by simply equipping it with a suitable sensor. This includes but not limited to high definition photo and video cameras, thermal imaging cameras, gas sensors, corrosion detectors, laser equipment and more. The HyDrone 1800 has the ability to fly under altitude limits of 4500 m. It can be refueled in less than 40 minutes and has a double back up flight control system. It has a longer flight duration of 2 hours to 4 hours and the ability to fly for about 100 km when combined with MMC tethered technology. This makes it suitable for applications like monitoring, aerial surveillance, reconnaissance, security control, emergency reaction, damage assessment, public security, agricultural inspection and other tasks depending on the payload it carries. The long flight duration offered by the HyDrone overcomes most industrial drones since they fly under 1 hour. It is therefore a flexible and an efficient technology. The H-1 cell actually offers more advantages over LiPO batteries. First, it is pollution free hence environment-friendly. However, the hydrogen cell has an auxiliary lithium battery which starts the fuel cell and provides a backup source of power for the drone. Then, it also provides continuous power for the Unmanned Aircraft Vehicles (UAV) as long as the hydrogen is supplied continuously. Not only does the property of the hydrogen fuel facilitate for extended flight duration but also it extends the ideal temperature operation. Actually, most drones run on batteries limiting their flight duration hence it involves switching the batteries time to time. 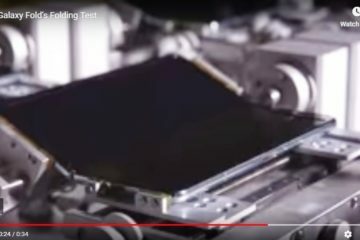 Due to this, the company has exploded with numerous orders. The hydrogen fuel powered drone is a new technology that may companies are adopting. It is worth noting that the drone are widely used in a variety of industries and increasing the flight time has so many benefits. This includes the military, oil and gas industry, building inspections, agriculture, rescue missions, emergency services and others in the Middle East, USA, China, Korea, Europe and other countries across the world. The company has, however, had its challenges. 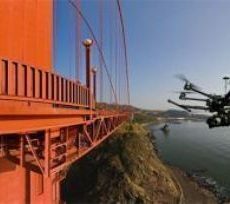 It has faced strong competitors such as DJI, which by the way is actually 5 km from MMC. The drone industry has over 20,000 engineers making it risky for the company due to the speed of innovation and new technologies. Also, the commercial market has not changed enough since most of the market shift has been on the recreational side. Similarly, the commercial drone market is quite smaller than the recreational drone’s. The company’s CEO also emphasized that it was difficult to get new clients in developing countries because of regulatory hurdles like in the United States of America. And also, to make drone technology available to clients in developing countries, the company had to develop a computer package for them including flight planning, pilot training and after service. According to MMC founder Lu Zhi Hui, this technology is the next step forward for military grade drones and that it is also safe, effective and it is proven that the endurance is unmatched by other power sources. Tags: 2nd generation Hydrogen Fuel Cell droneDrone manufacturersDrones basicsfirst commercial hydrogen fuel cell droneFuel cell dronesTags advantages over LiPO batterieshydrogen H-1 Cell over LiPO batteriesHyDroneHyDrone 1550HyDrone 1800Micromulticopter Aero Technology Co Ltd (MMC)MMC also offers packaged solutions in target acquisition and reconnaissance technology (ISTAK)MMC founder Lu Zhi HuiMMC HyDrone 1800MMC HyDrone 1800 featuresUnmanned Aircraft Vehicles (UAV)world’s first commercial hydrogen fuel cell drone.